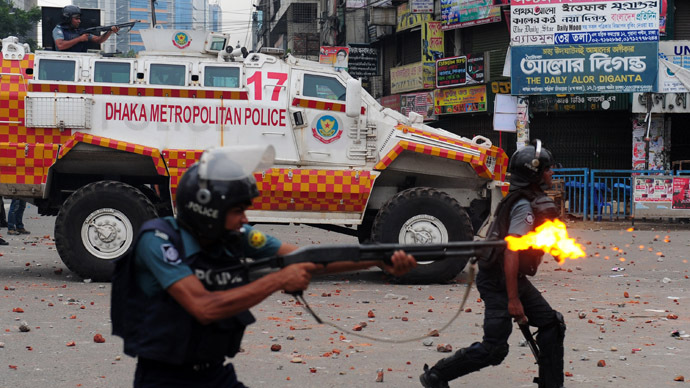 Only a day after thousands gathered in Bangladesh to mourn the 1,127 people killed following the collapse of a garment factory, two major American companies, Walmart and Gap, voiced opposition to a broad safety upgrade agreement. A growing number of major European retailers have so far announced this week that they will participate in a plan to upgrade fire and safety in Bangladesh -- including Spanish retailer Inditex, parent company of Zara, British retail giants Primark and Tesco, as well as H&M. The latter being the largest purchaser of garments made in Bangladesh. The agreement, known as the Accord on Fire and Building Safety in Bangladesh, comes on the heels of a catastrophic incident at the Rana Plaza building, the worst in the history of the global garment industry, which collapsed on April 24, trapping over a thousand workers in the rubble. Labor groups have continued to exert pressure on major American companies, including Walmart and Gap, to take part in the new safety agreement. According to the New York Times, however, both companies have so far refused to sign the new agreement. Gap, which is reported to offer the strongest opposition to the new plan, is said to be concerned that the agreement would entangle the company in legal cases filed by American lawyers on behalf of workers in Bangladesh and seeks reduced legal liability. Walmart, which has been independently conducting factory inspections in Bangladesh since a fire killed 110 in November, has rejected the agreement’s inclusion of “dispute resolution mechanisms”. Europe as a whole accounts for 60 per cent of the country’s clothing exports, according to the Times. Italian fashion label Benetton, British retailer Marks & Spencer and Spanish retailer Mango became the latest European companies to agree to sign a contract that will mandate independent safety inspections of factories, as well as cover the costs of repairs. 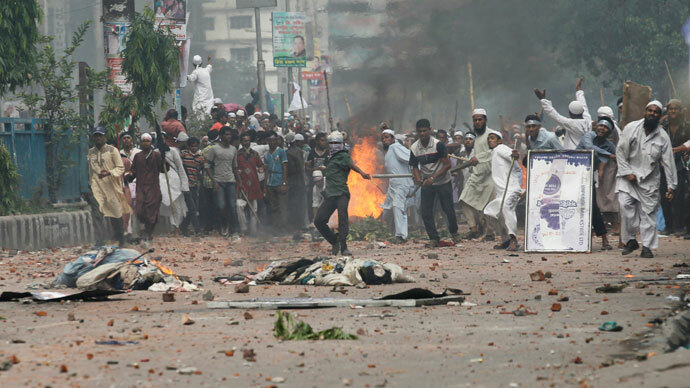 According to the Associated Press, the new pact also calls for retailers to pay up to $500,000 a year toward the effort, and to halt business with any Bangladesh factory that refuses to make safety improvements. The new agreement would be legally binding, as opposed to Walmart’s independent safety plan announced on Tuesday, which is voluntary and was criticized by labor groups such as the AFL-CIO. "It's not surprising, and the timing is fishy," Brian Finnegan, global worker rights coordinator at the AFL-CIO, remarked to the Huffington Post. "The whole point of what we're doing is to make it binding and enforceable," he added. 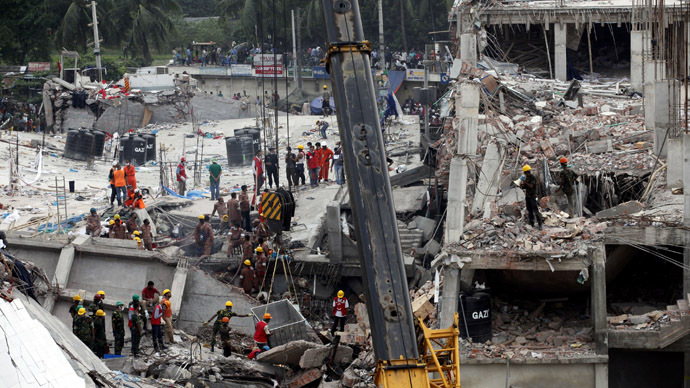 Prior to the large factory collapse companies including PHV, which oversees well-known American labels such as Calvin Klein, Tommy Hilfiger and Izod, had already agreed to sign the new safety pact. 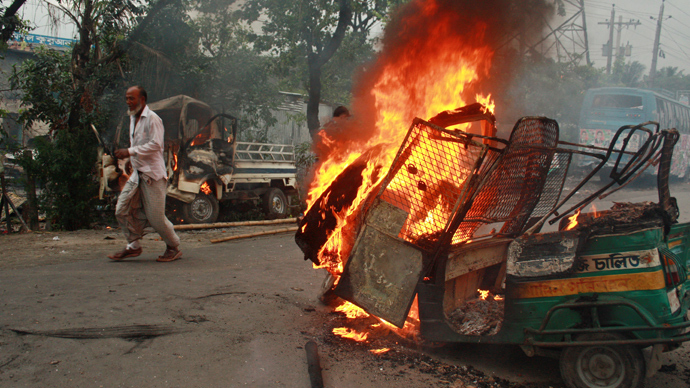 Bangladesh hosts some 5,000 garment factories and employs 3.6 million garment workers. According to AP that makes the country the third-biggest exporter of clothes in the world after China and Italy. In addition to hazardous working conditions, pay for workers in Bangladesh is severely depressed as a result of government anti-union efforts and the scarcity of employment. Compensation for workers in the country is one of the lowest worldwide, with an average pay of $38 per month. Scott Nova, executive director of the Worker Rights Consortium and one of the sponsors of the safety agreement, praised its potential. 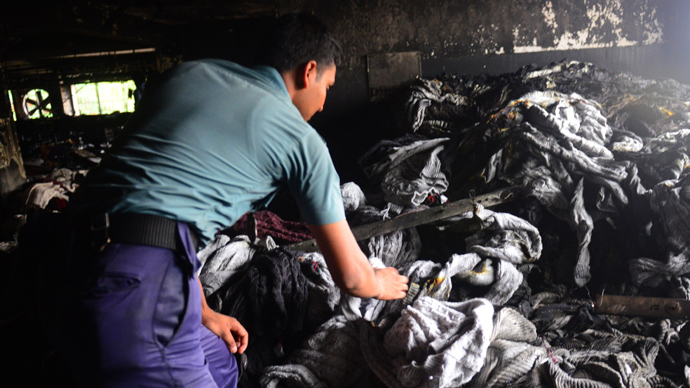 “This agreement is exactly what is needed to finally bring an end to the epidemic of fire and building disasters that have taken so many lives in the garment industry in Bangladesh,” said Nova. Documents provided to the Times indicate that Walmart had sourced clothing from the collapsed factory through a Canadian contractor. The American retailer, the second-largest producer of clothing in Bangladesh, is considered one of the main barriers to cementing the safety agreement.